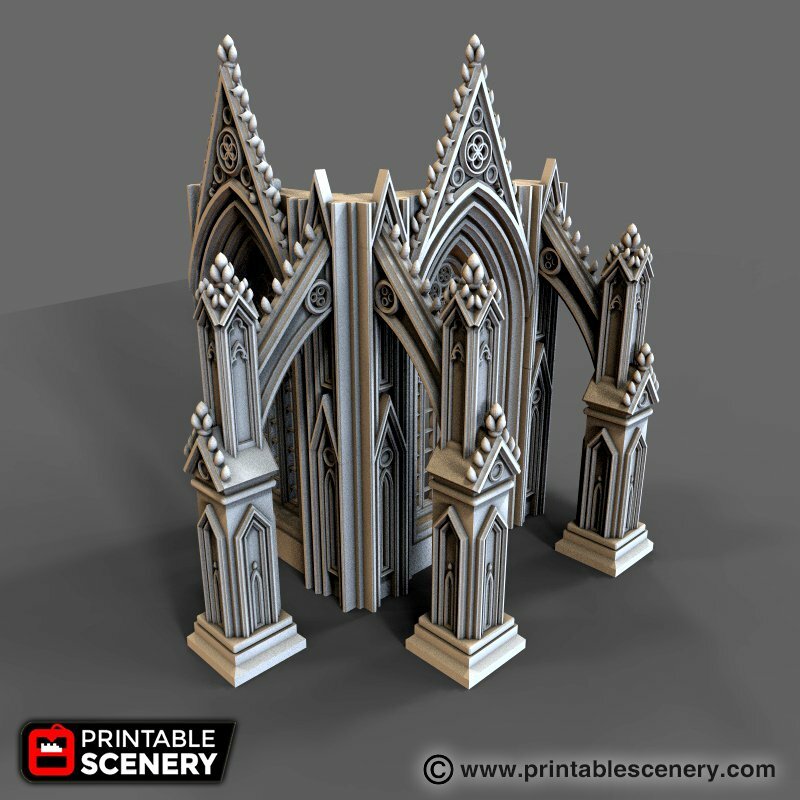 Some gothic cathedrals are enhanced by the addition of the arches and freestanding columns, referred to as Flying Buttresses, to their outside walls. 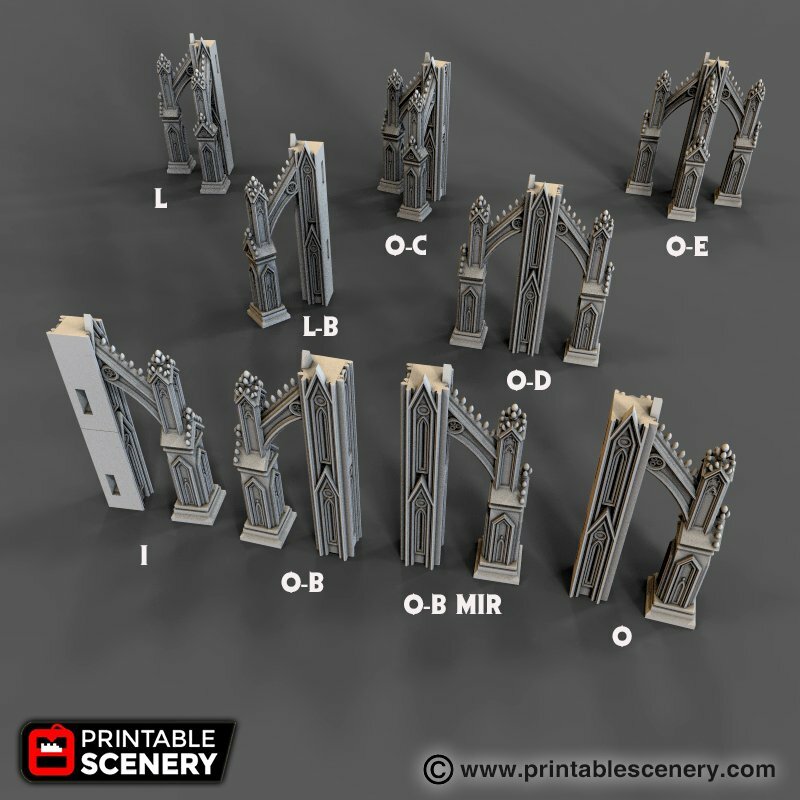 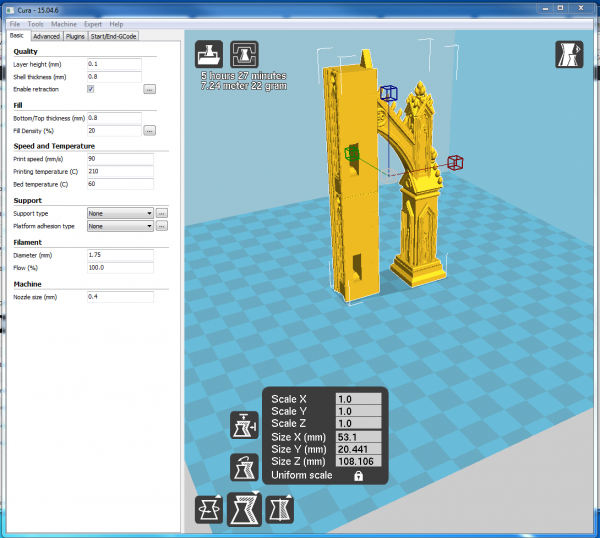 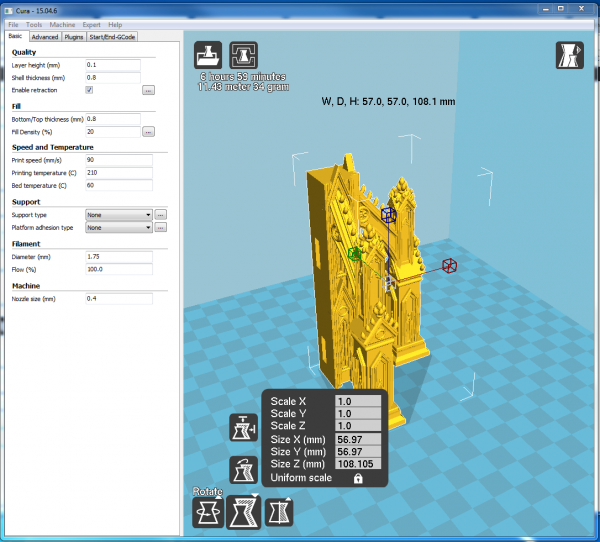 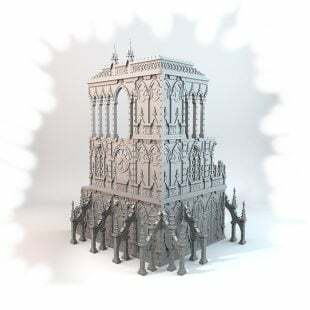 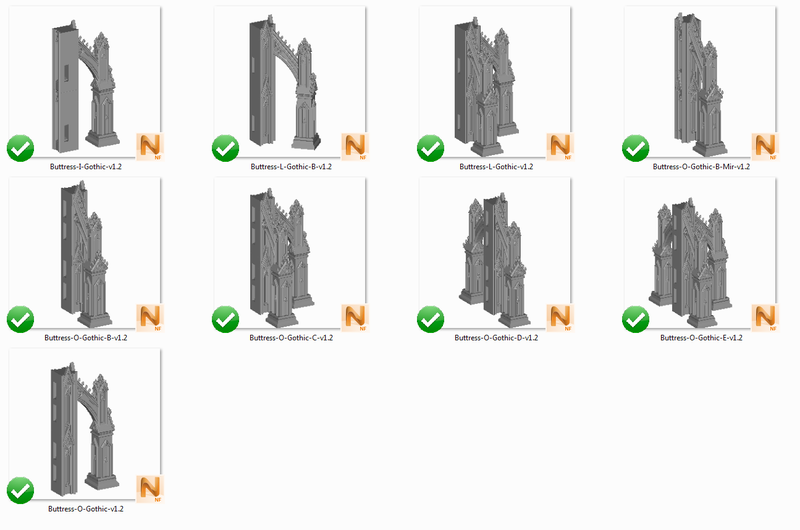 The Cathedral Flying Buttresses is a multi-model pack, compatible with all other OpenLOCK products. 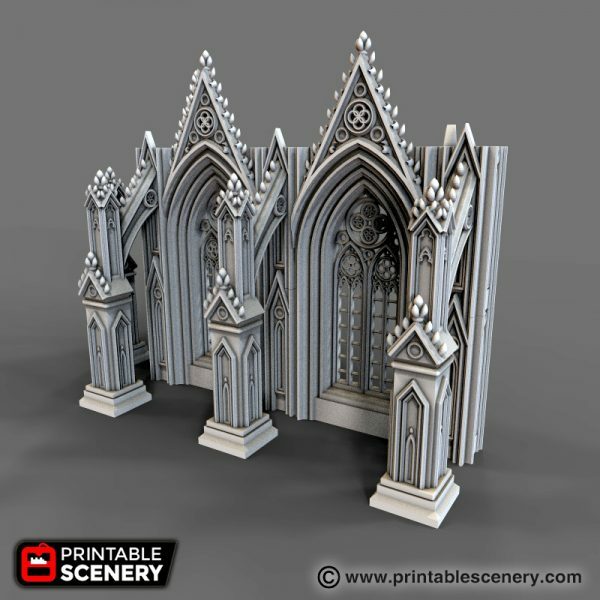 The Flying Buttresses perfectly compliment the outer walls of the gothic cathedral, creating arches and free-standing columns that add to the overall design of the building. 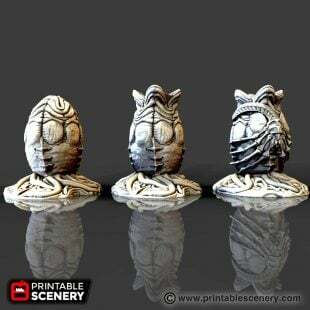 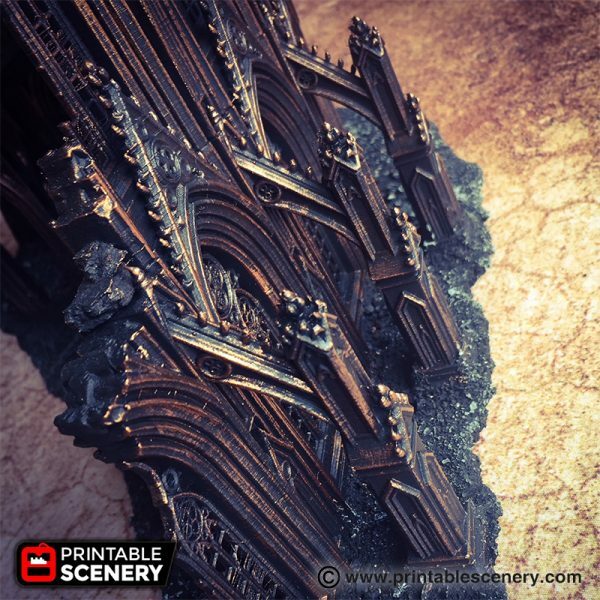 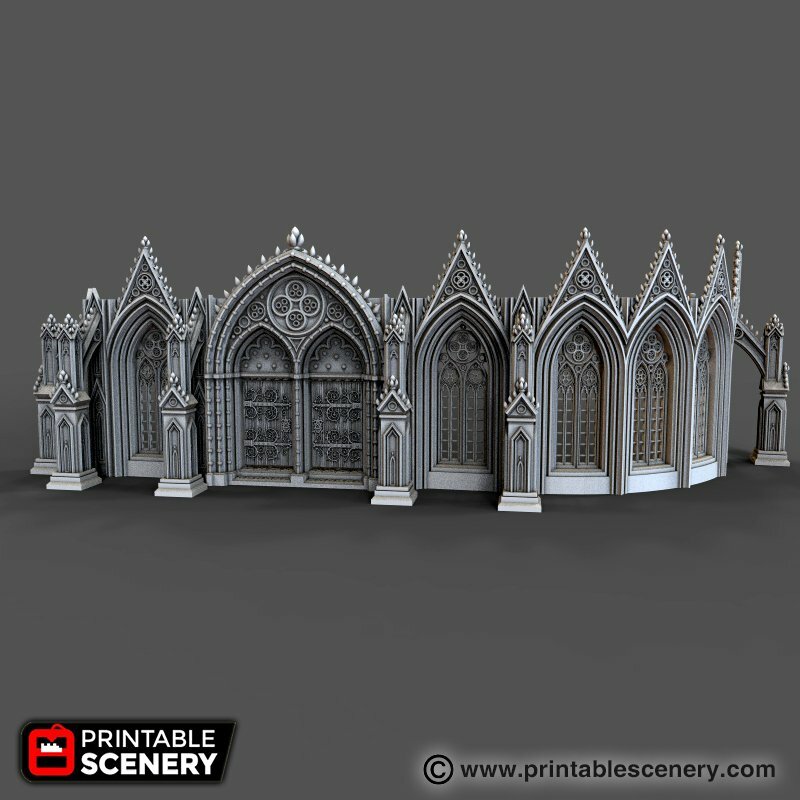 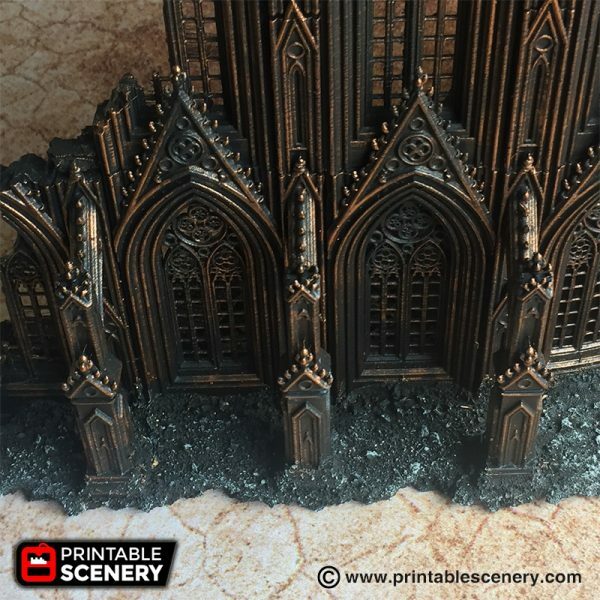 Create columns for RPG players to duck behind while trading gunfire with NPCs, or add to the grandeur of your cathedral with this pack.